Home Sports Rare Pictures of Cricketers That You Have Never Seen Before. Time does not wait for anyone. But you can trap time by using the camera, and cherish the rare moments that are no more for you to enjoy. The rare photographs of cricketers, who have always enjoyed the status of celebrities, reveal much that is unknown about them. Here are some pics that put before you, the unfamiliar, remarkable and golden moments in the life of the heroes from the cricketing world. This above photograph that a cricket fan of any shade would feel proud to possess. Here you see Shane Warne, the Don of cricket and the Little Master Sachin Tendulkar, standing from right to left, at Don Bradman’s home in Australia. They are the three men that cricket can never forget. 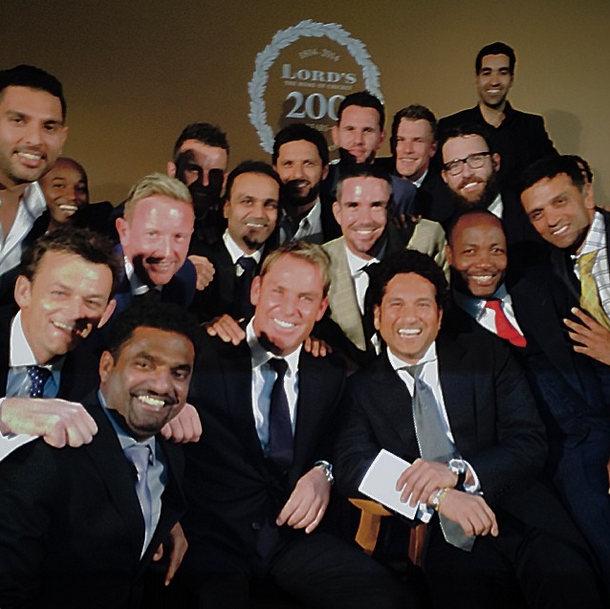 The giants of the cricketing world came together for the bicentennial celebration of MCC. The 22 legends played a match at the Lord’s and also took some time off to click this memorable selfie, that you see here. Two teams headed by Sachin and Shane Warne, played the match to celebrate the historical event. 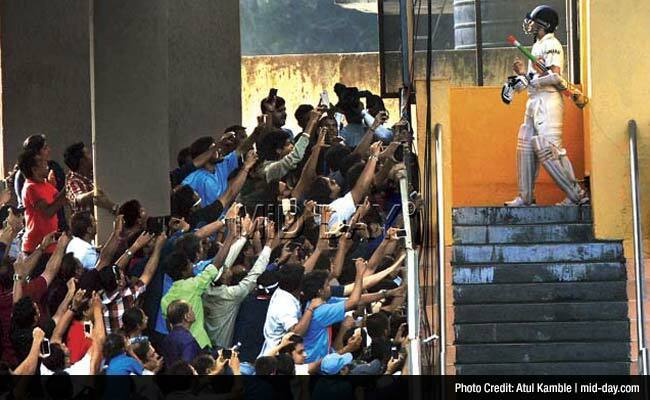 Sachin Tendulkar, the cricket legend of the present century, wishes farewell to cricket and Wankhede stadium. This is the stadium that nurtured him and where he played his last Test match. It was an emotional moment for Tendulkar and all his fans. 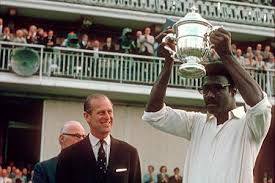 A historical moment for West Indies and the Non-white world, as Clive Llyod lifts the first cricket World Cup in 1975, beating the white Australian team. This win dethroned the whites from monopoly, on cricket victories. The crowd rushes into the fields after India registers its maiden win in the World Cup, ion the year 1983. The win was special as India was playing against the formidable West Indies team. The last wicket of Michael Holding was taken by Jimmy Amarnath of India, to make this victory possible. Don Bradman, the cricketing legend fails to wrap up his cricketing career with an average score of 100. He needed just four runs when he had to go out for a duck. 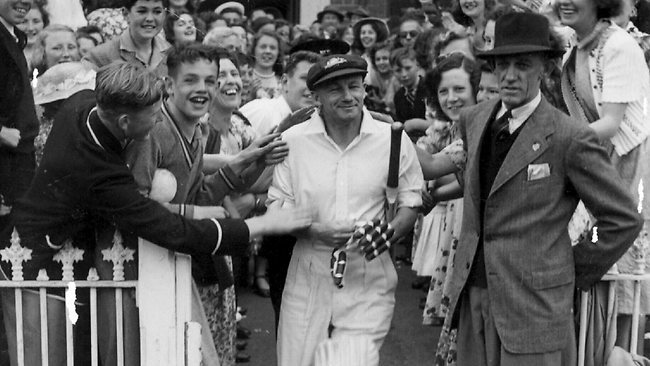 Bradman retired with an average score of 99.94 runs. This picture shows Jonty Rhodes flying in the air much like superman in an attempt to run out Pakistani player Inzamam-ul-Haq. The South African cricket cricketer executed what is remembered in cricketing history as one of the best run out’s. You must be wondering why the cricketers and the umpire need to rest on the ground. 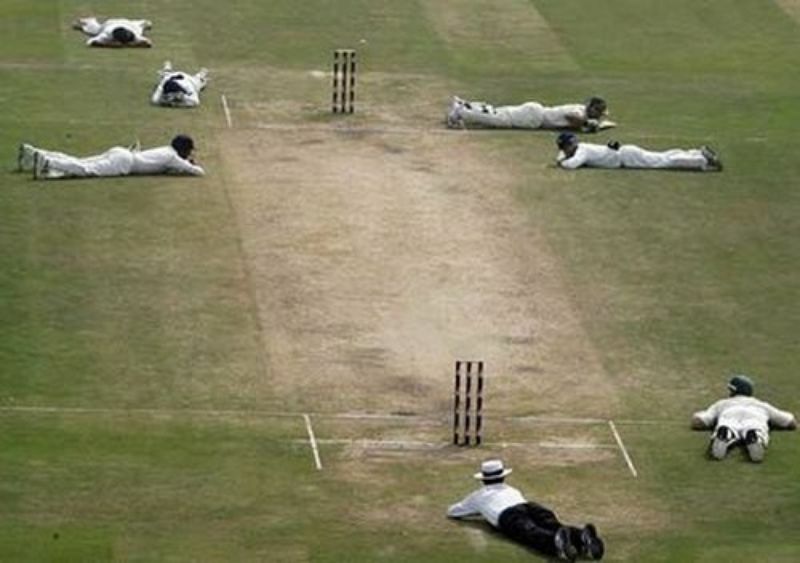 In this picture, the cricketers had trio lie down to save themselves from an unpredictable attack by a swarm of bees at the Ferozshah Kotla stadium, during a match between Australia and India. This picture, clicked in the year 1938, proves this phrase without a doubt. 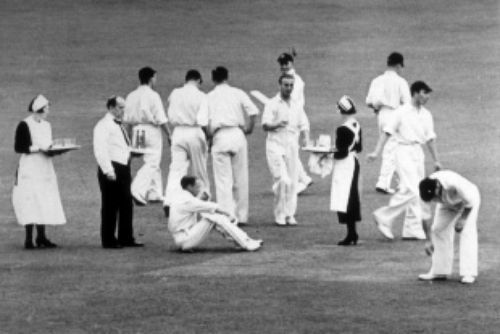 The English do not compromise with their traditions and etiquette even it is having tea during a tea break on the ground. The picture amply displays the British lineage of the game. This is perhaps the largest number of men made to protect the slip. 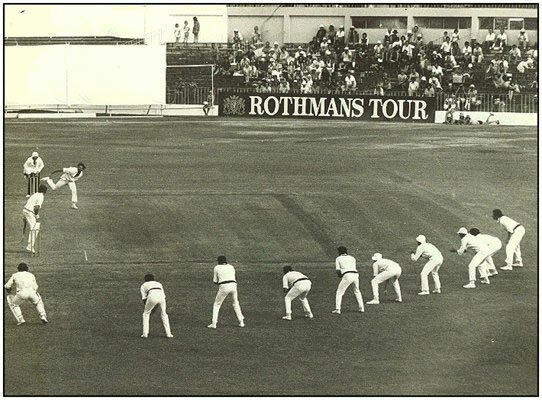 Dennis Lillee, the Australian fast bowler, deployed his men duri9ng a match against New Zealand, in the year 1977. 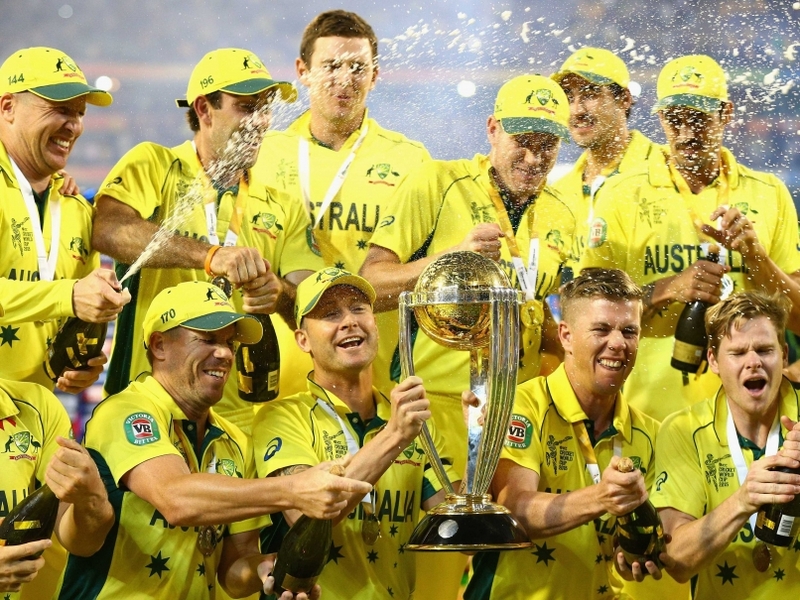 Australia has been the most successful team in the cricket World Cup. IT has won the cup a total of five times and has been a runner-up two times, in the World cups held so far. This picture shows the Aussies in a jubilant mood after coming out victorious in the World Cup third time in succession- in 1999, 2003 and 2007. 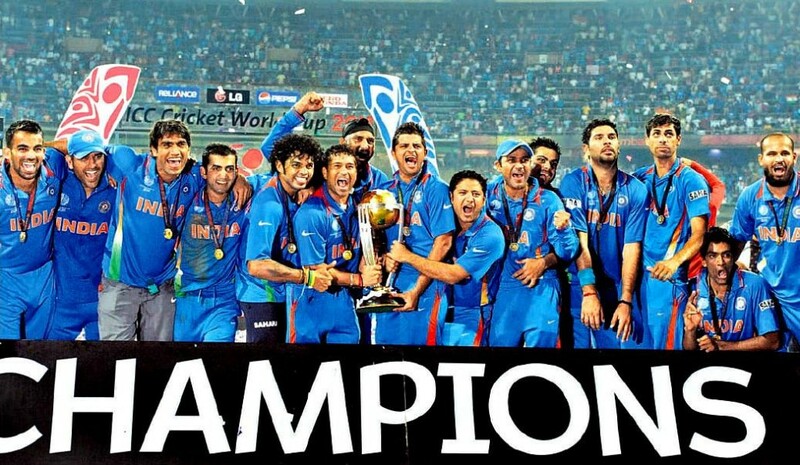 The Indian cricket Team makes a million Indians proud again, by winning the World Cup in 2011 against Sri Lanka. This win was also significant for Sachin Tendulkar, as he was the official event ambassador. 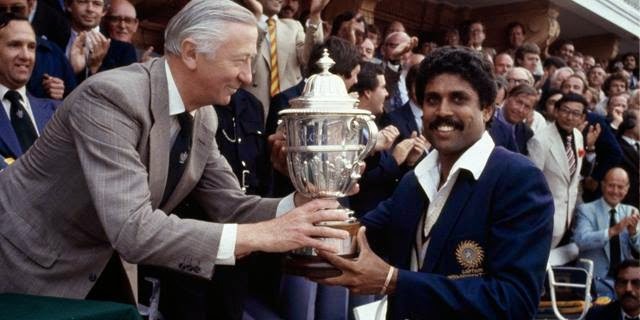 This win is also historical as India was the second nation to win as a host nation and the first time that both the finalists were Asian teams. 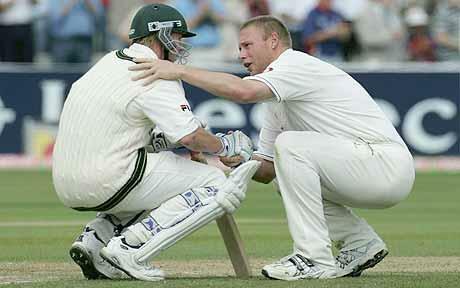 In this picture you see Freddie Flintoff, the English cricketer, reaching out to offer his consolation to Bret Lee, after England won the match by 2 runs against Australia. This picture teaches us that being rivals in a match should not make us forget the sportsman spirit and the mannerisms of a gentleman. There are many such rare pictorial records that are worthy of attention. Any person, who has an interest in cricket, in particular, and sports in general, will surely receive inspiration from this collection. Do delve into the unknown facets of the history of cricket to dig out such rare moments and get inspiration from the achievers to make it big in life.